Why TENNESSEE VALLEY EGGS ? Do You Consider Yourself a Humane Person? 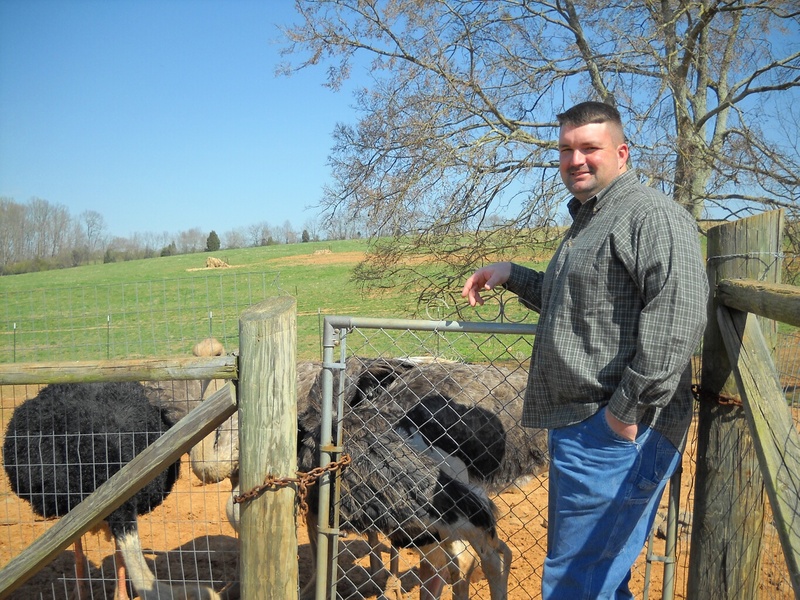 Contrast the unnatural and cruel Battery Cage conditions above with those of Tennessee Valley Eggs, a CAGE FREE egg farm run by local, first generation family farmers Jerry and Jana Swafford of Englewood, TN. 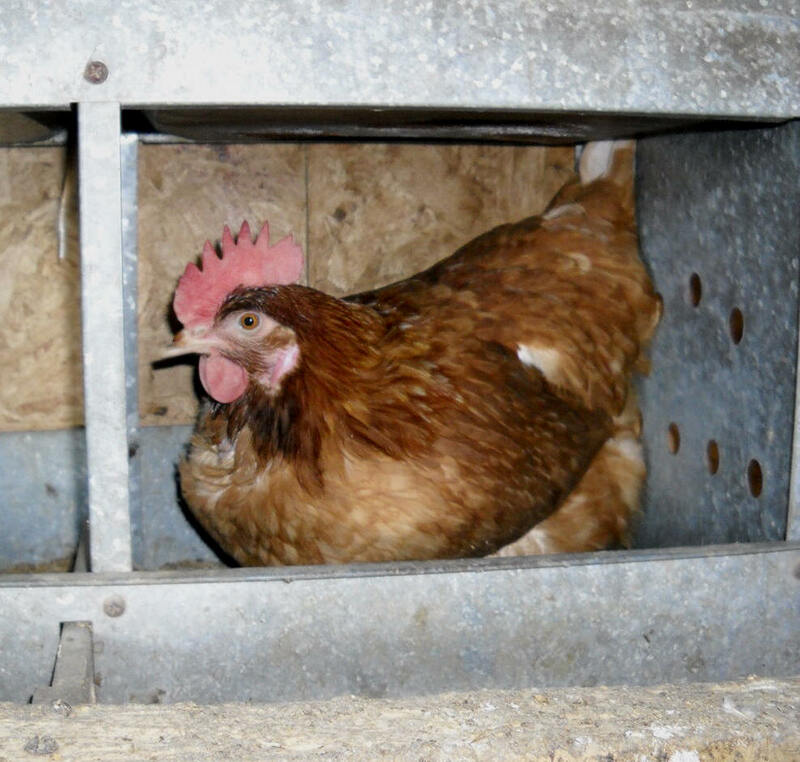 Most cage-free egg producers give each bird approx. 1 square foot. Jerry provides 4 square feet per bird, giving plenty of space for walking and moving. At night all the birds crowd to one end of the house and cuddle. 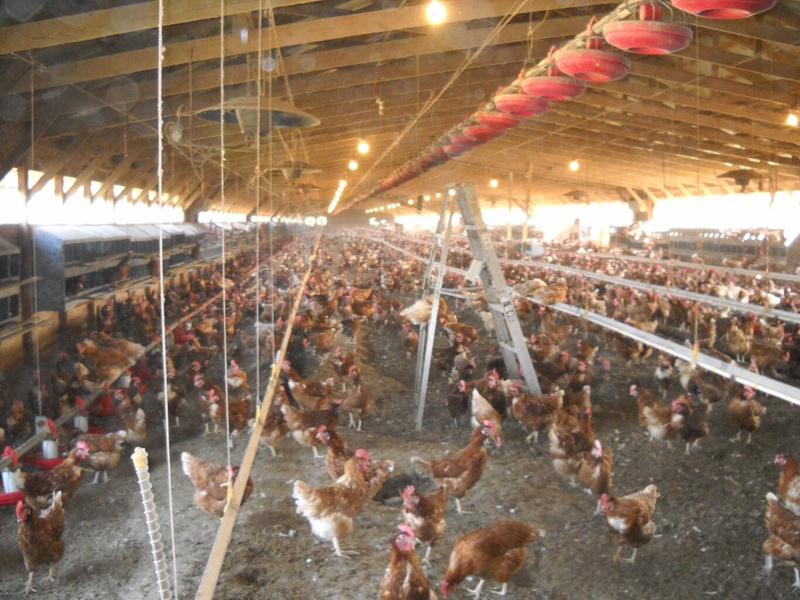 During the day chickens roam freely, fly to their nesting boxes and even swing on the water dispensing lines. The chickens are healthy and large, with their beaks, feathers and feet in perfect condition. Happy, natural clucking sounds are heard, sunlight streaming in from windows. 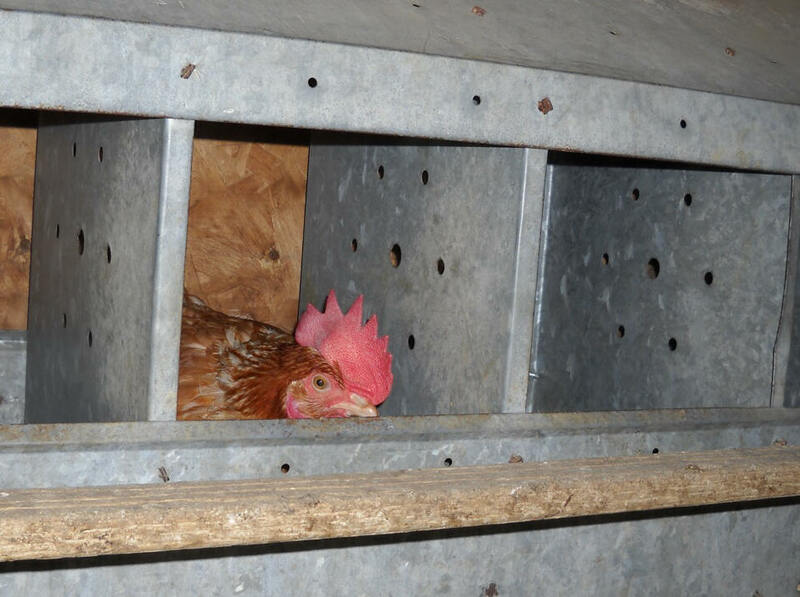 With nesting boxes all around the outside walls, pictured above, one of Jerry's hens happily ensconced in her nesting box. Pictured at left, a second hen having just laid her egg, proudly stands on the perch, CROWING loudly. According to Jerry, most of his hens crow proudly to tell the other hens they've laid their egg! The brown eggs produced are large with thick shells. People in this area should be proud to have these incredibly edible and healthy eggs from local hens who are treated humanely. When you go to your grocer, buy Tennessee Valley Eggs. Martha Stewart and most cooking show hosts prize brown cage-free eggs for health and "humane" animal treatment. Look on the box before you buy. If the words “Cage Free” or “Free Roaming” aren’t on the box, then the chickens are in battery cages, even if the box says “Omega vitamins” or anything else. Support humane farming and local farmers! Consider the Hens. Consider Your Health. Ask for TENNESSEE VALLEY EGGS ! for most grocers to place them in their stores.